Lawrence Watt-Evans is the best light fantasy writer of the past twenty years. He's put out some serious, massive fantasy tomes lately, too - as if P.G. Wodehouse were forced to write Wagnerian operas. Not that his serious stuff is bad, mind you! It's just not as good as his light fantasy.But once in a while he steps out of the fantasy field altogether, and the results are usually impressive. 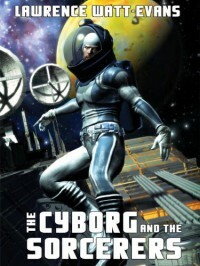 The Cyborg and the Sorcerers is a relatively early science fiction novel from Watt-Evans; I think it might be his first, but it's not easy to find a straightforward bibliography of his novels.TCatS is actually a mixed-genre novel; Slant, a STL-traveling interstellar elite military cyborg scout, finds a planet where the inhabitants have developed the ability to use magic. This is cursorily explained as the product of mutation, originally, although the ability can apparently be developed in any human being by a trained sorcerer.One of the most refreshing things about Watt-Evans is that he almost never resorts to the "missing the obvious" plot coupon. His protagonists are generally sensible, reasonable people, and most of them are intelligent. Even better, they use that intelligence...intelligently. This is an astonishingly rare event in modern science fiction and fantasy fiction. One common shtick that often comes up in SF-meets-fantasy books is a refusal by SF characters to believe that magic could possibly be real. Slant accepts the "magic" he sees (albeit within the context of the mutation theory) after witnessing a reasonable amount of evidence.It's the ship's computer, which is in many ways Slant's master, that has more difficulty accepting the idea of magic - although it nonetheless manages to come up with some intelligent ideas of its own.The novel chronicles Slant's attempts to cope with the demands of the computer, and finally to escape its control altogether. It's well-told and entertaining. It does feel a little bit sketchy, though. I can't help but feel that another fifty pages or so would have helped the book; Slant could frankly use a bit more depth, and apart from the computer the other characters in the book feel a bit empty. There's an emotional potential in Slant's psyche that isn't sufficiently addressed, to my way of thinking. His past has been partly erased from his memory, and his world has been destroyed; slower-than-light travel has made him a chronological castaway, forever cut off from his birthplace and time. 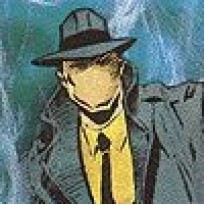 His struggle to recover an important memory is just slightly too easy.There's one slight anachronism in the book, one hardly worth mentioning - but since I brought it up, I will. It's mentioned at least twice that Slant's skeleton has been reinforced with steel. That strikes an odd note. I'm surprised that Watt-Evans didn't make up some sort of space-age alloy, such as the adamantium that Marvel used long before for Wolverine.I also recently came up with a solution for one of Slant's problems. But since it involves a spoiler, and I don't want to have to hide the whole review, I'm going to put it in a separate comment on the review itself - if GoodReads will allow it.Oh, one more thing: although I usually like the cover art for the Ethshar books, and this one seems to be by the same artist who did several of the early Ethshar entries, I think it was an unfortunate choice to make all the characters on the cover look like Biblical patriarchs. It probably hurt sales.